Recently, I heard about a polar bear died of starvation caused by melting glaciers. At Svalbard where is the northernmost part of Norway, the polar bear was really skinny due to the lack of ice made it harder to hunt seals. In fact, glaciers as a main source of water supply that not only affect animals but also human societies. Causes: The main reason of deglaciation is global warming. Nowadays, population expansion produces huge amount carbon dioxide. The average temperature rises obviously in annual. 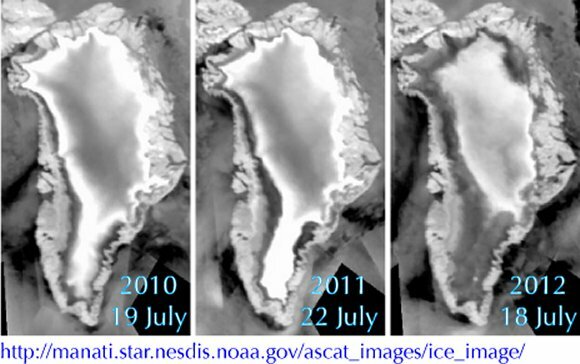 The decline of snowfall results in unbalance between accumulation and ablation of glaciers. Moreover, human behaviors due to developing of industries and economy also trigger out glacier retreat such as excessive deforestation, over exploiting of land reclamation, overloading of herds. Impacts: The importance of glaciers is they can reflect sunlight that to keep temperature and humidity stable. If the melting happens, forest fires may occur. Then, it loses of the habitat of wild animals, the source of wood, and a drier and warmer atmosphere. Furthermore, the sea levels will rise since ices melt, which can swallows of the lowlands and narrows coastline. Glaciers are the largest reservoir of fresh water both for household or agriculture. Ices retreat has impacts on decrease in runoff that the supply of domestic water, irrigation scheme and hydropower. There are also influences about increase quantity of unripe fruits or crops, and reducing of annual yield. Solutions: People cannot stop vanishing of glaciers now. However, there are some ways can slow down the rate of recession. An aerial survey at regular period can help to know the current situation of glaciers. Regulations restrict on forest use will be helpful. Governments should grow more of trees which always have lots of benefits on environment. Then, to reform energy structure, use the new types of clean energy, increase energy efficiency are the methods in developing technology side. Bottom Line: In my opinion, education is the most effective way to fight global warming. If people can avoid continuous climate change, deglaciation will have possibilities for improvement. Polar bears do not need glaciers; they need sea ice. Different types of ice have different characteristics. Glaciers and sea ice are extremely unlike one another. The way they form is different, their composition is different, the locations where they occur are different; the reasons they are important to living things are different, and the processes and ramifications of their loss due to climate change are different. To write accurately and well about climate change subjects, the writer needs to do very thorough research on a wide variety of topics, and understand scientific issues as well as economic and policy matters.